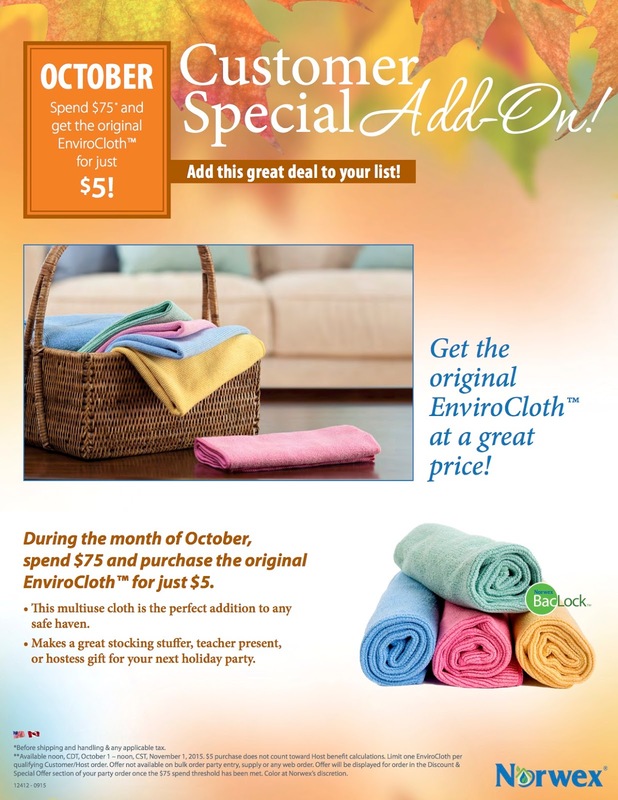 Spend $75 and get the original EnviroCloth™for just $5! *Before shipping and handling & any applicable tax. 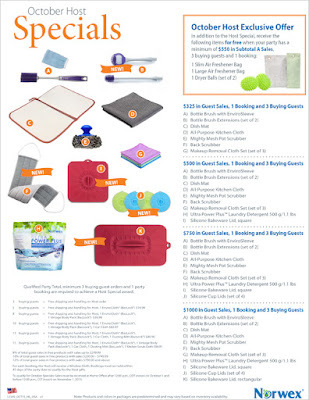 **Available noon, CDT, October 1 – noon, CST, November 1, 2015. 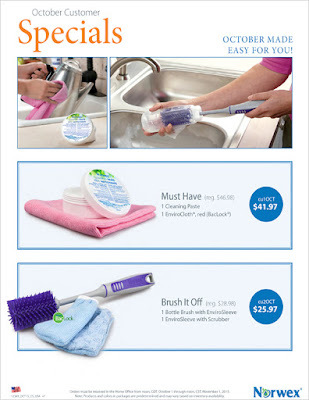 $5 purchase does not count toward Host benefit calculations. Limit one EnviroCloth per qualifying Customer/Host order. Offer not available on bulk order party entry, supply or any web order. Offer will be displayed for order in the Discount & Special Offer section of your party order once the $75 spend threshold has been met. Color at Norwex’s discretion.